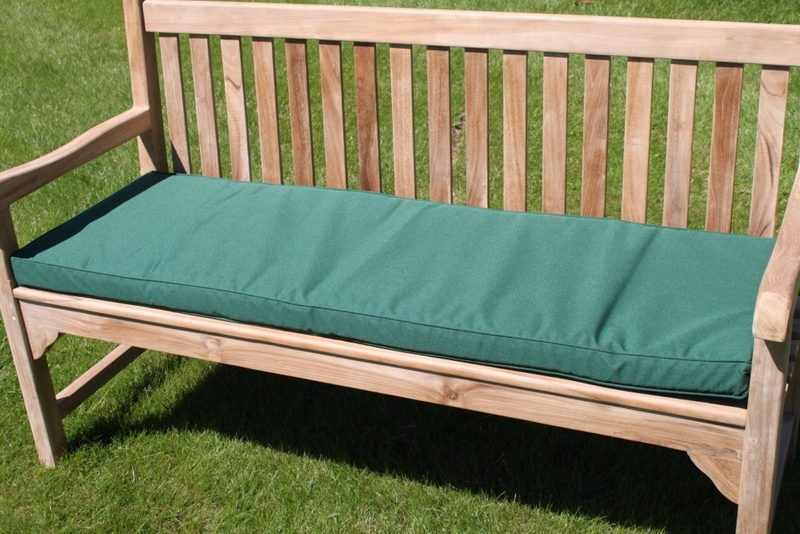 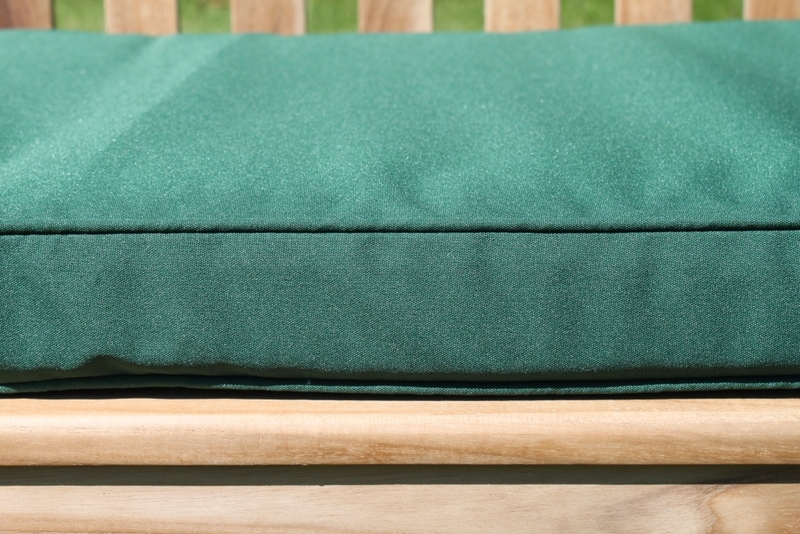 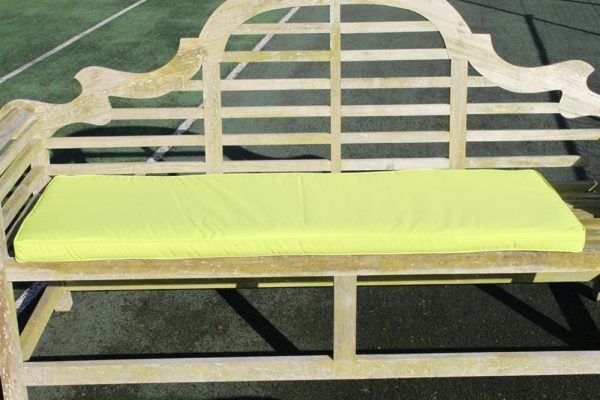 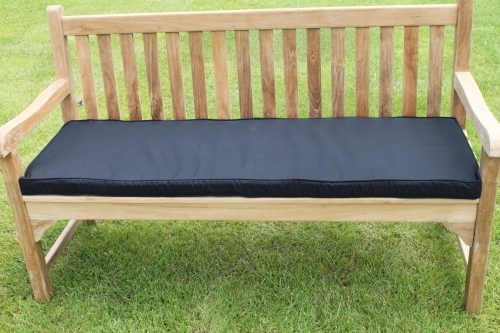 Cushion for 3 seater bench in green. 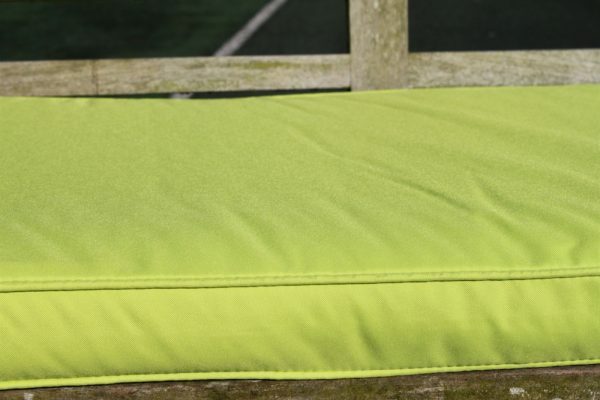 Our cushions are made from a fade resistant quality polyester (180g / M2) material, with a polyester sponge fibre filling. 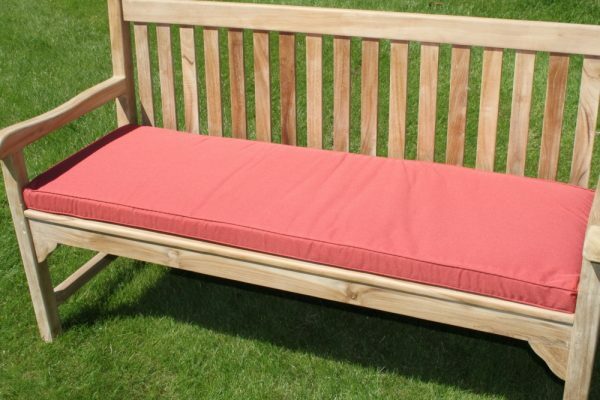 Both are flame retardant and made to BS standards. 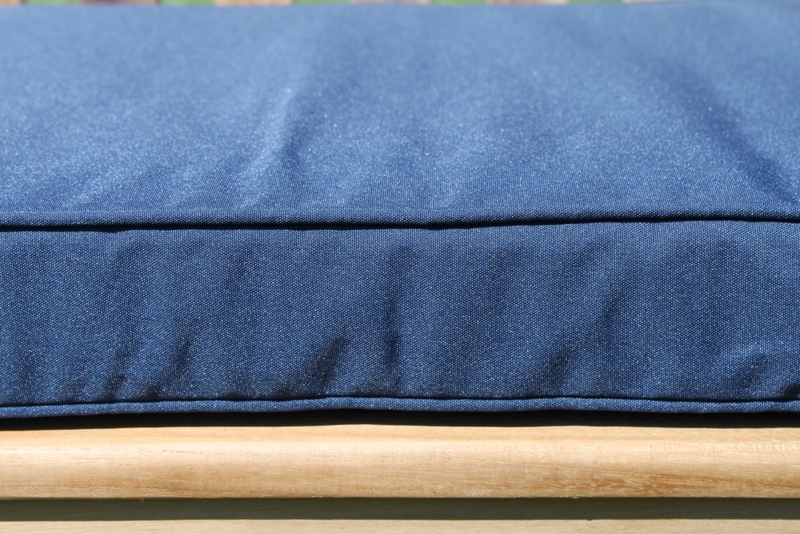 The covers are all zipped so the inner sponge can be easily removed when the covers require washing. 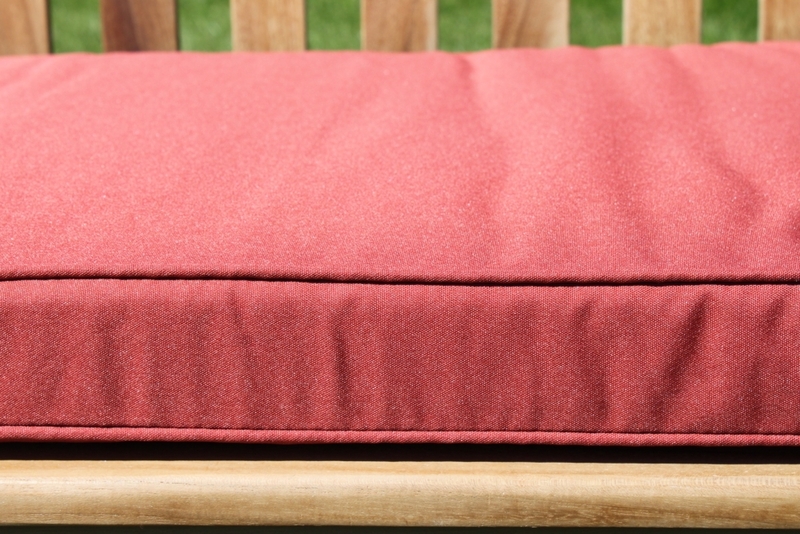 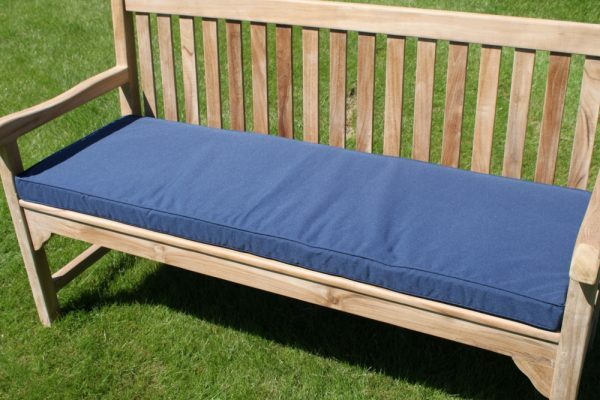 The cushions are piped at the edges to make a quality, strong long lasting cushion. Width 143cms, depth 48cms and 6cms thick. 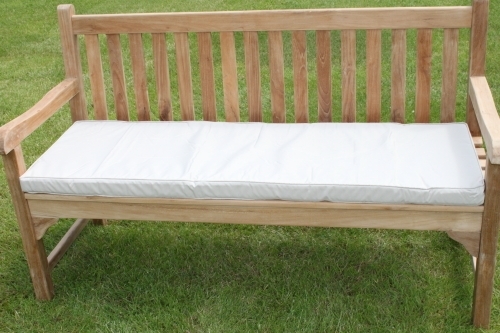 Bench shown is for illustration. 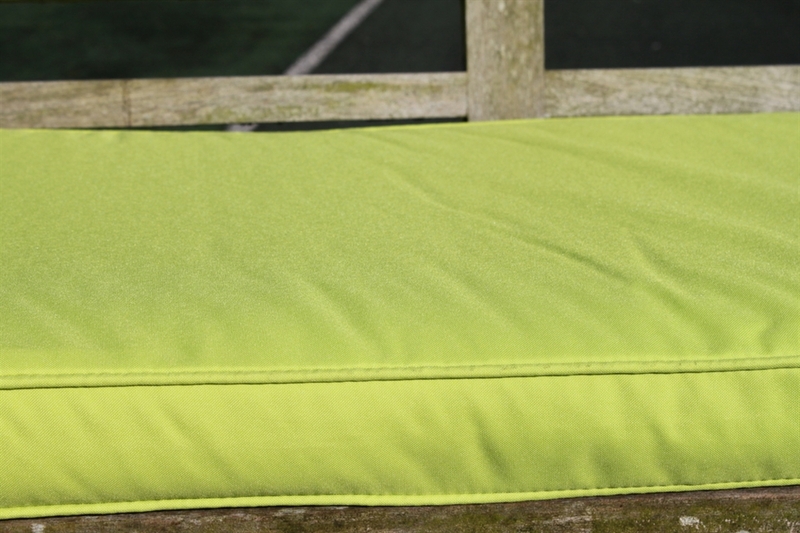 Price includes cushion only.